Can Liquidity Services Move On Without Its Defense Department Contract? Relying too much on a single customer is always a risk for a company, and surplus retailer Liquidity Services (NASDAQ: LQDT) is learning just how difficult it can be to make a successful transition toward a more diversified, balanced business. With the completion of its surplus contract with the U.S. Department of Defense, Liquidity Services has struggled to find other avenues for growth to make up for the lost revenue from that key source of business. Coming into last Thursday's fiscal first-quarter financial report, Liquidity Services investors expected to see dramatic declines in revenue and further losses stemming from the ongoing challenges that the retailer faces. 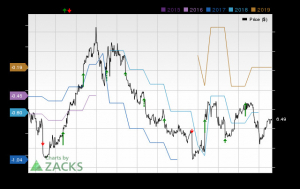 The company's results weren't as bad as many had expected, however, and that could point to a sustained recovery that could take Liquidity Services in a new direction. Liquidity Services' fiscal first-quarter results showed that the company still has plenty of work to do. Revenue came in at $54.1 million, which was down almost 12% from year-earlier levels, but that was still a lot better than the 16% top-line drop that most of those following the stock had expected to see. Net losses of $5 million were about quadruple what they'd been in the year-ago period, but adjusted losses of $0.10 per share were quite a bit better than the consensus forecast for $0.15 per share in red ink. Fundamentally, there were some more positive signs in Liquidity Services's numbers. Gross merchandise volume climbed by about 2% to $158.5 million, and the company said that when you take out the impact of the complete Defense Department surplus contract, gross merchandise volume was higher by 12% and revenue jumped 20% from the year-earlier quarter. From a segment perspective, the biggest growth areas came from the GovDeals and retail supply chain group segments, both of which saw marked increase in gross merchandise volume and gross profit. Those gains were generally offset by weakness in the capital asset group, which once again saw sales and gross profit cut in half. Auction metrics showed mixed results. The number of registered buyers rose almost 10% to more than 3.51 million. But fewer people actually participated in auctions, as participant counts dropped 5% to 493,000. The number of completed transactions was positive, climbing 19% to 145,000. What's ahead for Liquidity Services? CEO Bill Angrick put the gains in non-Defense Department business in perspective. "These improvements are notable," Angrick said, "as they mark the third consecutive quarter that we achieved double-digit top line growth, excluding our DoD Surplus contract, and demonstrate that we are successfully executing on our strategy." However, Liquidity Services did decide to slow down a bit on some of its strategic initiatives. Initially, the company had foreseen moving forward with its Go-Dove marketplace near the beginning of 2019, but it decided to defer the launch until the spring in order to go through a more extensive testing process. Investors also weren't entirely sure how to feel about the company's guidance for the current quarter. 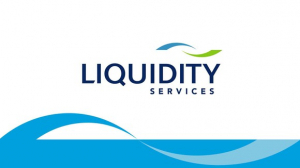 Liquidity Services sees gross merchandise volume in the fiscal second quarter of $150 million to $170 million, the same range it had set for the just-completed quarter. Losses will come in between $0.09 and $0.17 per share on an adjusted basis -- roughly in line with year-earlier losses. Those numbers are consistent with what investors were expecting, but they still force shareholders to accept the fact that it likely won't be until 2020 that Liquidity Services could return to profitability. Investors weren't entirely happy with the report, and the stock dropped 12% on Thursday and Friday after the Thursday morning announcement. With concerns about the broader economy, it's uncertain just how much patience shareholders will have with Liquidity Services' efforts to mount a turnaround -- and it's still likely to be a while before the retailer can complete its strategic plan. David and Tom just revealed what they believe are the 10 best stocks for investors to buy right now... and Liquidity Services wasn't one of them! That's right -- they think these 10 stocks are even better buys. Dan Caplinger has no position in any of the stocks mentioned. The Motley Fool recommends Liquidity Services. The Motley Fool has a disclosure policy.